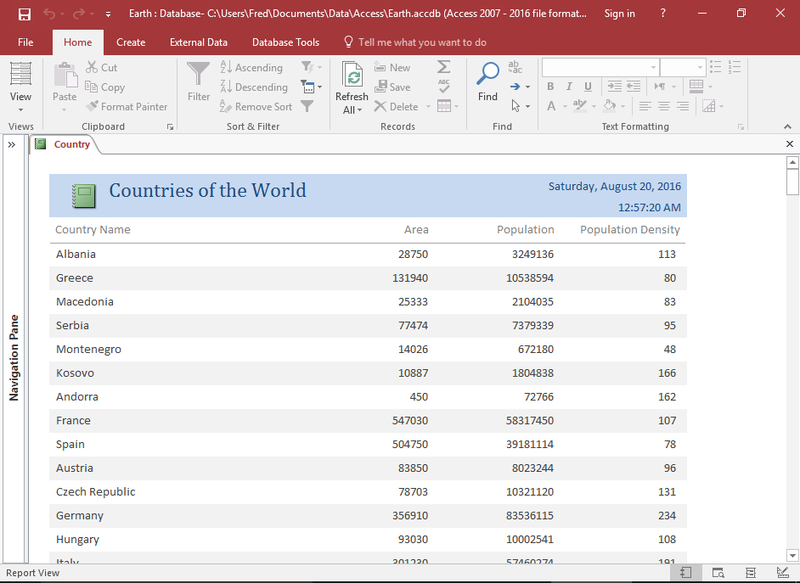 Do you know, you can create a report right from the table in Access 2016? 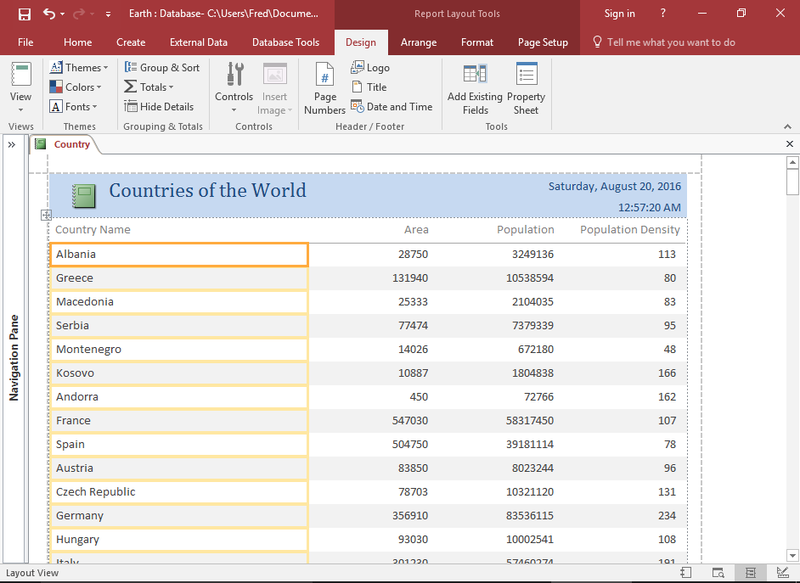 Access automatically generates a report as per your selection for the table or query. 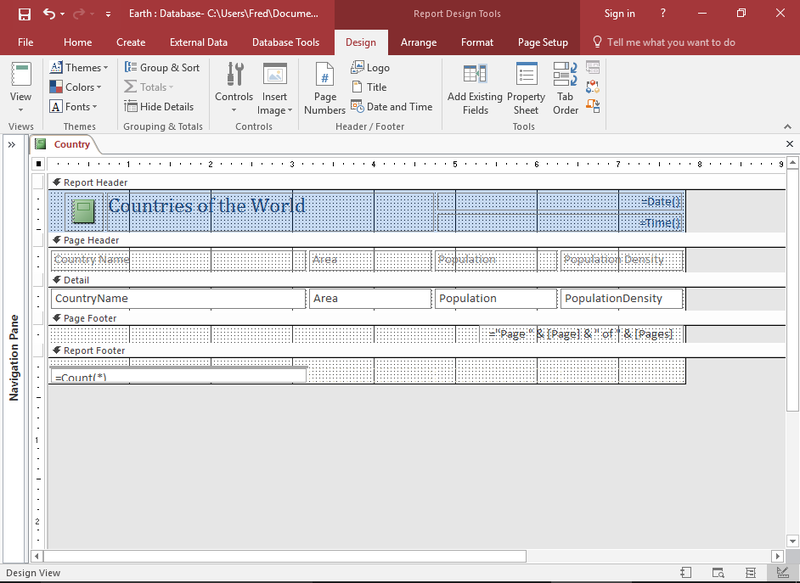 Learn how to create a report from access existing table. 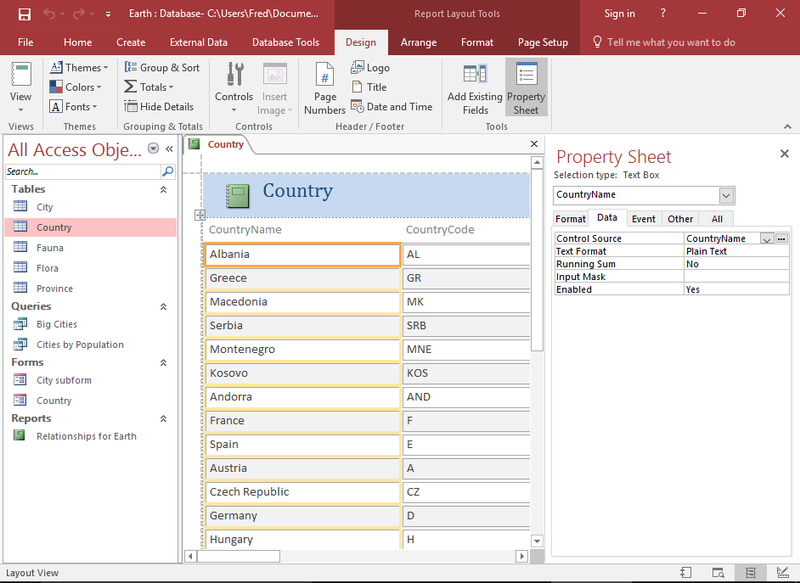 From the left navigation pane, select the Table of which you want to make the report. Now tap to the Report option from the Create tab. Report will contain all the fields from the table. It is in layout view, means you can do editing in this view style. For more controlled editing options you can switch to design view. Also use Report View and Print Preview to view how it looks to the user. 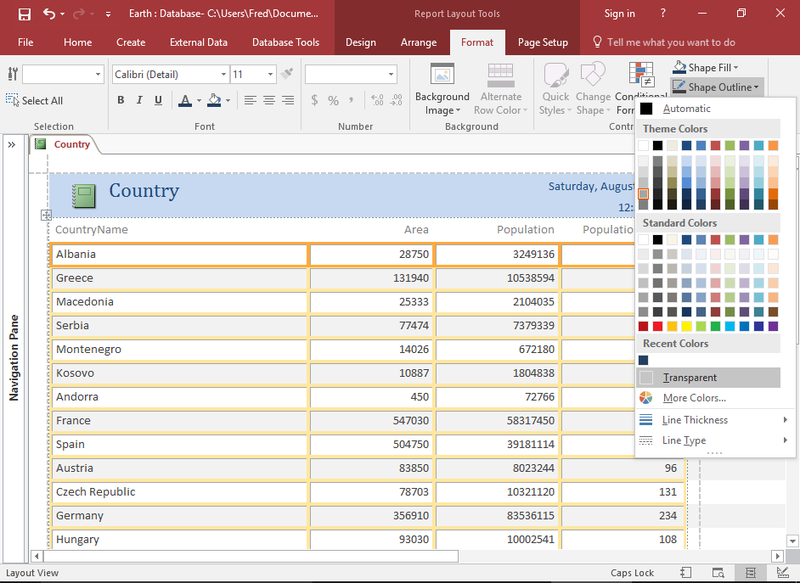 You can either customize the report or use it as it is; it’s completely up to you. Before sending for emailing or printing, you need to do some modification. In particular, check that it contains the correct fields or not. And it is not too wide to be printed. If it is much wider then it will use up extra many pages unnecessarily. 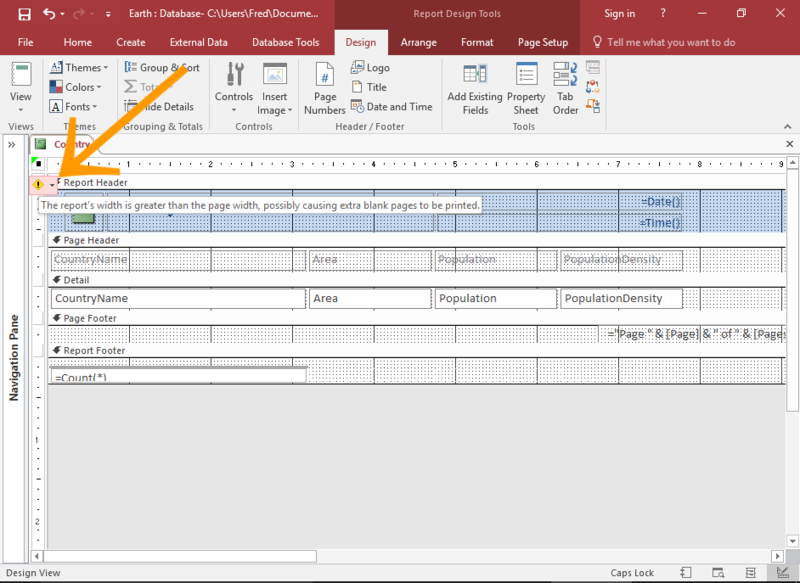 If your report is based on an existing table, there is always the possibility that there will be fields that you need in the report. In such case, delete unwanted fields. 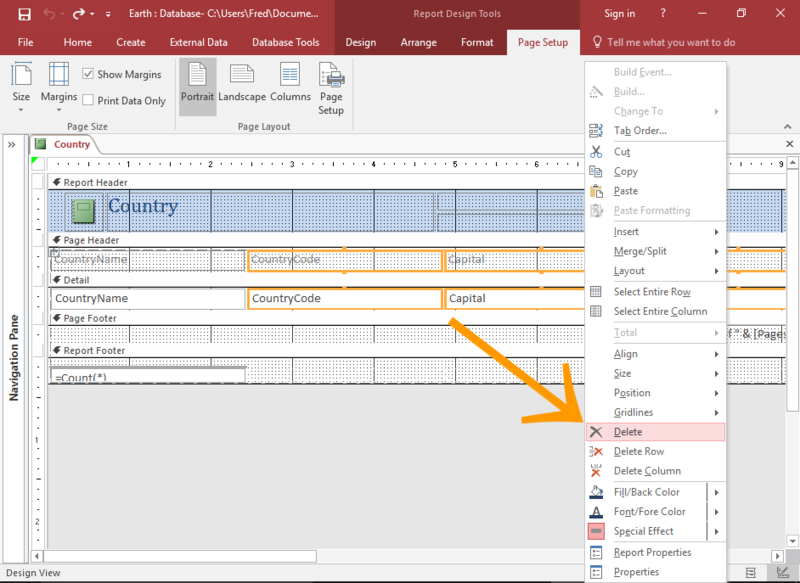 In order to delete this, make a right click on it and select Delete from the contextual menu. You can make formatting for the colors, fonts, sizes etc. as per your requirement. It is most likely that you may get this error if your report contains many fields positioned next to each other. You can either shift, resize or delete them. You can also make changes to the page size or orientation if it’s a suitable option for you. Though numbers of fields are been deleted or shifted to the left, the footer still remains in the original position. This is pushing the width out too far. If the report was printed now, each will create extra blank pages to be printed. Tap to the warning message in order to open a drop down list of possible fixes to the issue. Select option to see if that resolve the issue. So, you need to select more than one. Hitting the Select the Control Farthest to the Right is the best option to highlight the control that is causing the issue. you can move the control to the left, delete or change its width. 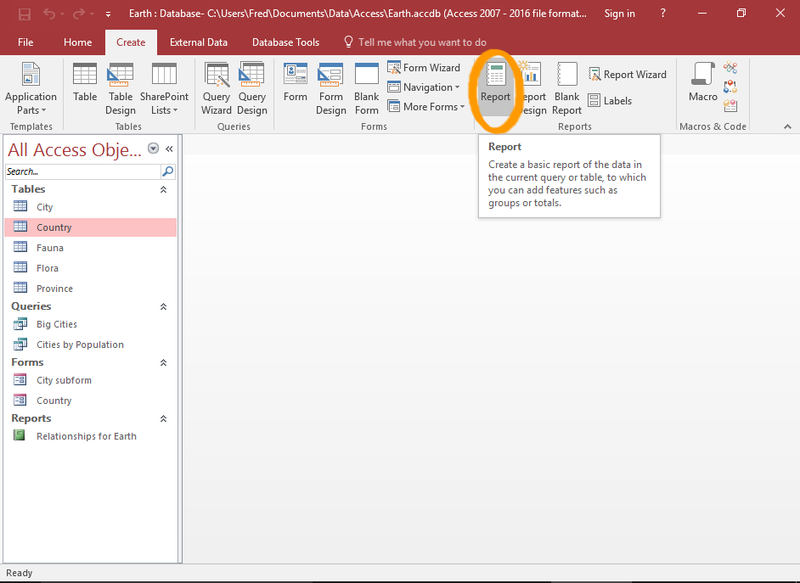 Clicking to Remove Extra Report Space can be very helpful in order to move any offending elements. 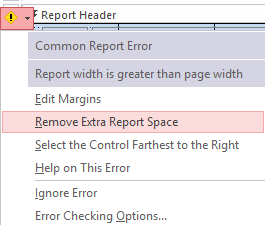 After fixing up the error, the report will look narrower and the warning message will disappear. Move to the layout view to view how it looks there. Switch to Report View to see how it looks there. Finally, switch to the print preview to see how it will look when it is printed out. See how many pages the report will print before printing. 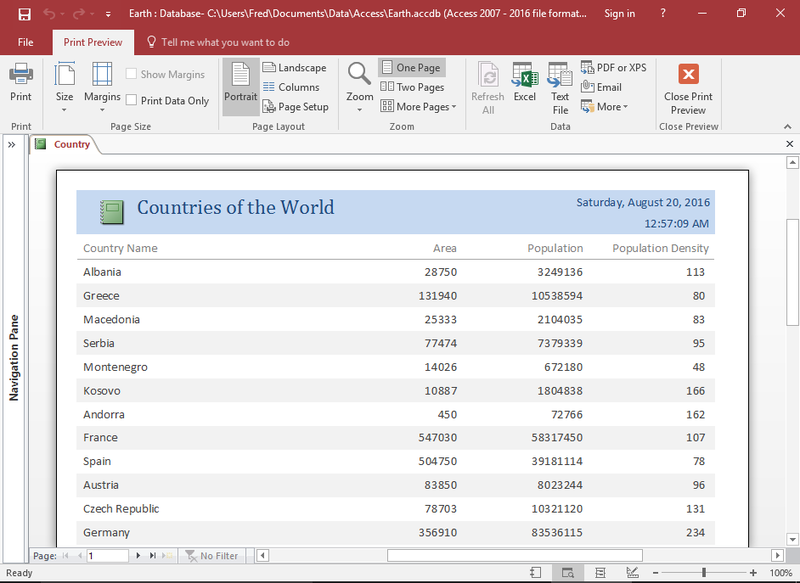 Use the pagination control at the bottom of the report to jump to the last page and check the page number listed at the control. At last save the report. In any case, access will prompt you to save it when you try to close it.